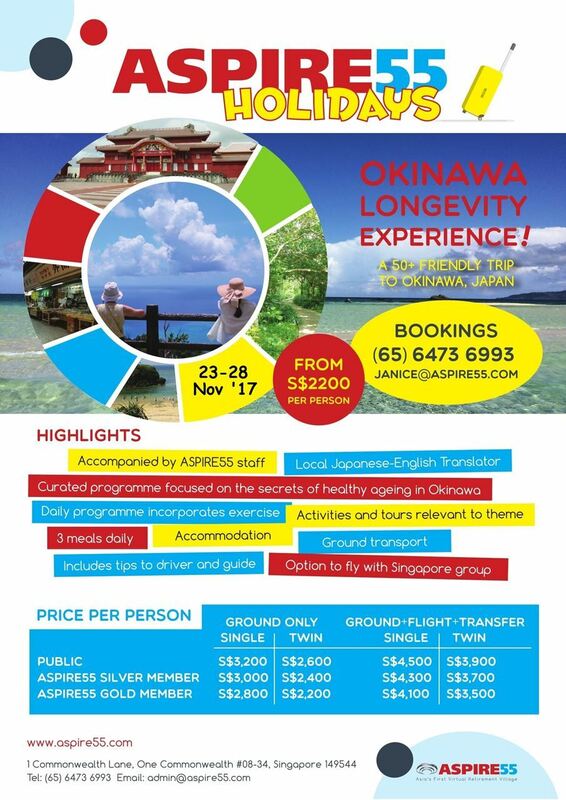 This tour is limited to 12 Pax and will be conducted in English. One ASPIRE55 Staff will accompany every 10 pax. Guests of Gold Members welcome. Min 10 pax to commence.